CHRISTIANE STENGER, VINCITRICE DELLA FAMOSA COMPETIZIONE PER MNEMONISTI WORLD MEMORY CHAMPIONSHIPS, È L’ISPIRAZIONE DI THE BEAUTIFUL MIND. QUESTA FRAGRANZA FEMMINILE È UN OMAGGIO ALLA DONNA, AL SUO CUORE E ALLA SUA MENTE, UN’ODE ALLA SUA IRRESISTIBILE MOLTEPLICITÀ. LE NOTE DI TESTA SI APRONO CON FIORI DI MAGNOLIA, BERGAMOTTO, MANDARINO E FRESIA. IL CUORE SI COMPONE DI OSMANTHUS, OLIO DI ROSA, HEDIONE E NOTE DI ASSOLUTA DI TIARÉ, ESSENZA ESTRATTA DA RARI FIORI CHE CRESCONO SULLA LUSSUREGGIANTE ISOLA DI TAHITI. LE NOTE DI FONDO SONO CEDRO, MUSCHIO, SANDALO E CASHMERAN, UNA MOLECOLA ODOROSA AVVOLGENTE. THE BEAUTIFUL MIND È L’ESALTAZIONE DI UN VASTO BOUQUET FLOREALE CHE RENDE LA FRAGRANZA RICCA E SOAVE, PERSISTENTE E LEGGERA ALLO STESSO TEMPO. 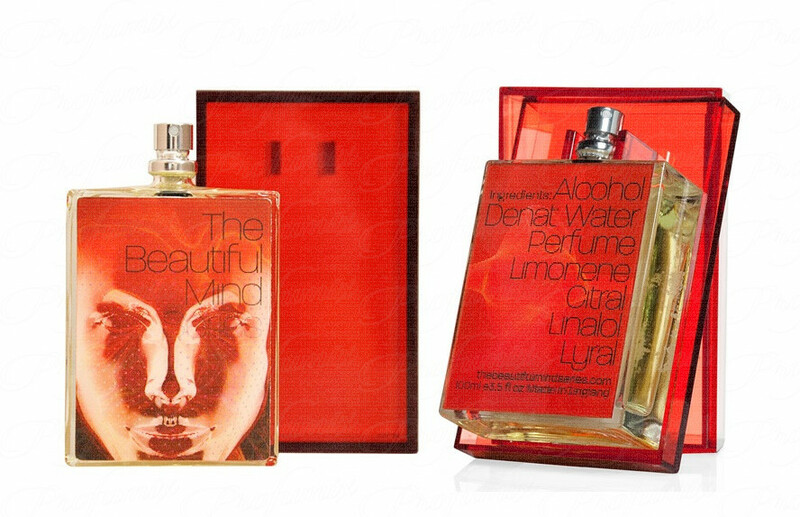 INTELLIGENCE & FANTASY BY THE BEAUTIFUL MIND SERIES IS A FLORAL WOODY MUSK FRAGRANCE FOR WOMEN. INTELLIGENCE & FANTASY WAS LAUNCHED IN 2010. THE NOSE BEHIND THIS FRAGRANCE IS GEZA SCHOEN. TOP NOTES ARE BERGAMOT, MANDARIN ORANGE, PINK PEPPER AND MAGNOLIA; MIDDLE NOTES ARE OSMANTHUS, FREESIA, ROSE AND TIARE FLOWER; BASE NOTES ARE SANDALWOOD, VIRGINIA CEDAR, CASHMERAN AND MUSK.